Leveraging on our latest infrastructure facilities, we are able to offer a wide gamut of Bollard lights, safe light and high mast Bollard Lights. Our company is regarded as a specialist in offering a huge array of Bollard Lighting. This superior grade Bollard Lighting is designed and developed by making use of first grade basic materials, coupled with latest technology. Taking advantage of the new improvements in science and technology. we, ‘Apsara Interior Solutions' are engaged in importing, trading, distributing and supplying the most preferred range of Bulbs and Fixtures. The innovative range of products offered by us include Light Bulbs, Lamp Fixtures, Industrial and Shopping Mall Lighting, Landscape Lighting, Road and Tunnel Lighting, Protected Lighting and Office Lighting. These OHMS LVD Induction Lamps provides optimum illumination for your indoor & outdoor sites, offices, residence, auditoriums, stadiums to give you better & pleasant ambience for work & living. "OHMS LVD Induction Lamps" are the “Greenest Light” available to can earn “Carbon Credit” on it. Our Induction Lamps do not have any Filaments & therefore has No Discharge and are known as Electrode-Less Lamps. 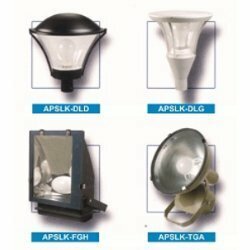 We provide our clients a wide range of LVD Induction Lamp. We provide our clients with an alluring range of Bulbs & Fixtures products. The lightning products are appreciated for their excellent illumination, low maintenance cost and easy installation. Our company is commercially launching Induction Vapor, Metal halide, CFL & Fluorescent lights that provide up to 60%-80% energy saving.